The smallest of Japan’s four main islands, Shikoku is also the least well known and least touristed. (Even many Japanese have never been there.) Yet, the island offers many delights. For a truly remote and rustic travel experience, consider Iya and Oboke valleys of Tokushima Prefecture. They offer a great combination of nature, history and local culture: the "real" Japan. Perhaps popularized for Western tourists by Alex Kerr’s description in his 1996 book, "Lost Japan," Iya Valley is sometimes referred to as the “hidden valley” because of events eight centuries ago. 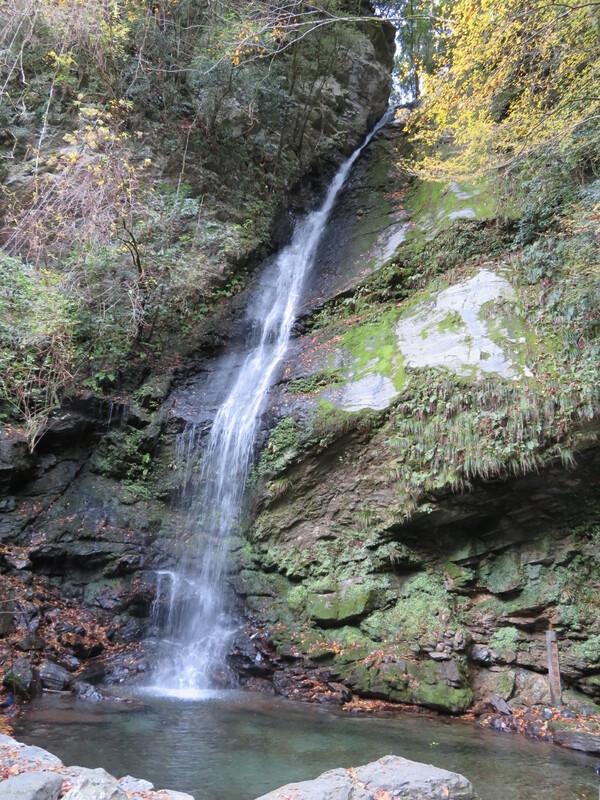 The Taira clan (popularly known as the Heike) is said to have retreated to this remote valley after being defeated by the Minamoto or Genji clan in 1185. The epic story of the conflict between the two mighty clans, known as “The Tale of the Heike”, written within 200 years of the actual events, is regarded as Japan’s Illiad. Heike descendants are said to still live in the valley and the local dialect carries remnants of the language used by the Heike some 800 years ago. 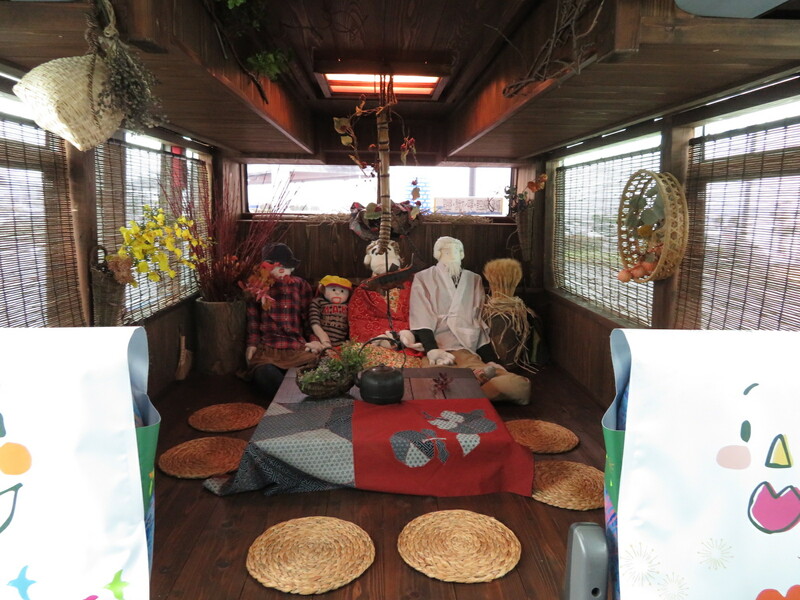 Visitors can explore this history at the Heike Yashiki Museum of Folklore. Housed in a well-maintained Edo-period home of Heike clan descendants (complete with thatched roof and paper walls), this museum contains exhibits relating to both the domestic and military aspects of the Heike lifestyle of the 12th century and their settlement in the Iya valley -- Biwa . The pretty garden includes an 800-year-old tree said to have been planted when the clan first arrived. The steep, narrow valleys of the area are what enabled the Heike to hide out here so successfully. Another remnant of those Heike times is said to be the kazura-bashi or vine bridges locals historically used to cross the Iya River from one side of the valley to the other. Made by weaving softened vines of actinidia arguta (tara vine, or hardy kiwi) that become very strong once they harden, these suspension bridges were once the major means of transportation in the valley. Vines were used because the raw material was plentiful, but also because the bridges could be quickly cut and destroyed to thwart any enemy invasion. Only three bridges remain today -- rebuilt every three years to ensure safety and preserve the knowledge of their construction. 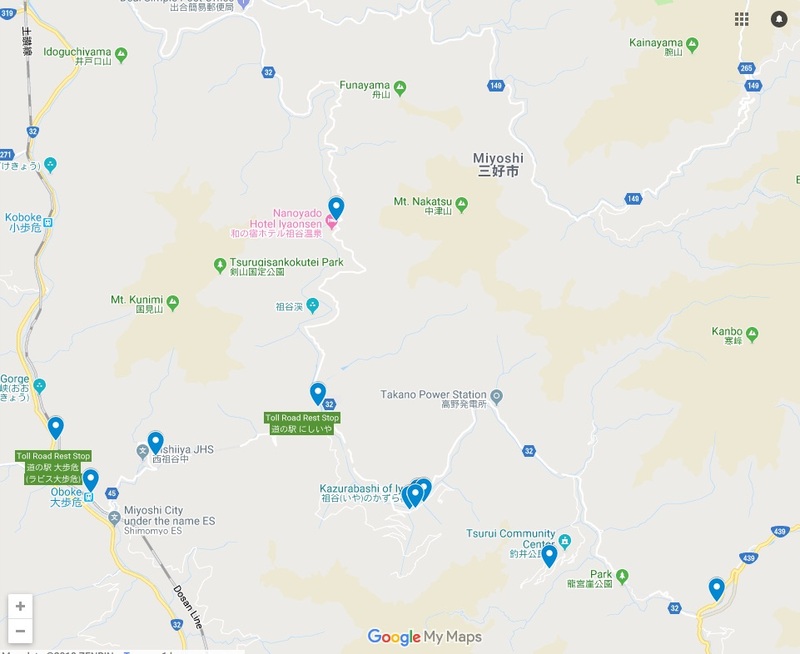 The most accessible of these is the one nearest Kazurabashi Yumebutai, the tourist information office and souvenir center for the valley, where you can don traditional garb or just get more information on the construction of the bridge. Crossing the bridge, the floor of which is a lattice of 2x2 boards lashed to the vine superstructure and through which, 14 meters below, you can see the clear, rushing waters of the Iya River, is thrilling, to say the least. You need to watch your step, but don't want to look down. After crossing the bridge, walk upstream less than 100 meters to the Biwa Falls, a ribbon of water nearly 50 meters tall, falling into a crystal clear pond and then streaming down to join the Iya River below. The biwa is a Japanese lute and the falls takes its name from an occasion when Heike warriors gathered here and a biwa was played for their entertainment. Several small shops in this area sell grilled spotted trout, indigenous to this river, and grilled sticks of potato, tofu and konyaku, known as dekomawashi. 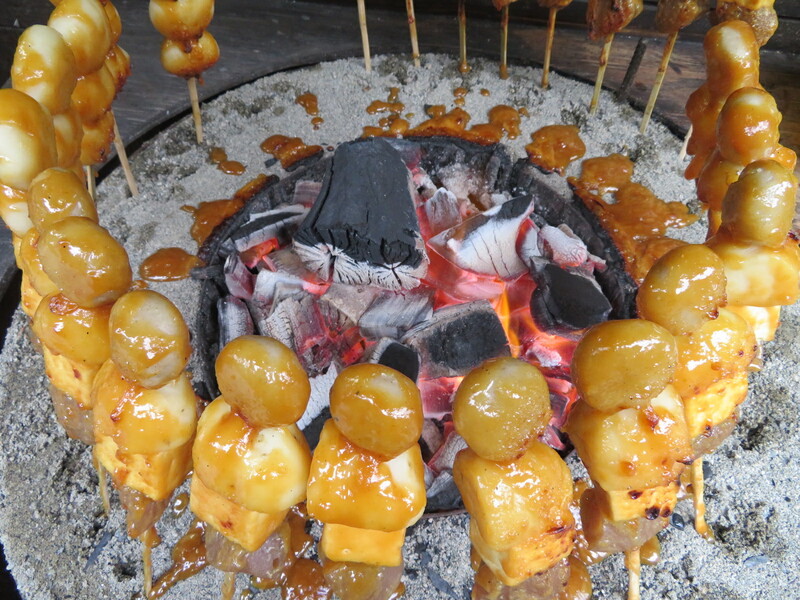 The word means spinning doll, and derives from the shape formed by the way the items are placed on the skewer together with the turntable used to slow grill the hearty concoction. Not far downstream from the vine bridge is Forest Adventure Iya Valley, a nature park nestled in the woodland near the river. Dedicated to preserving and promoting healthy forests, the park offers various outdoor activities including a tree top obstacle course and ziplining. Not exactly "forest bathing", but a good time, for sure! For more details, visit their website. Venture deeper into the Iya Valley and you will reach Chiiori House, the traditional thatched-roof house (believed to be more than 300 years old) "rescued" by Alex Kerr in the 1970s and now a symbol of heritage preservation in Japan. Unlike the Heike Museum, which is filled with historical items, here the focus is on the structure itself: its timbers, layout and construction methods. Managed by a trust, it is possible to visit, or even stay overnight, but both require advance reservations. To arrange a visit, go to their website. 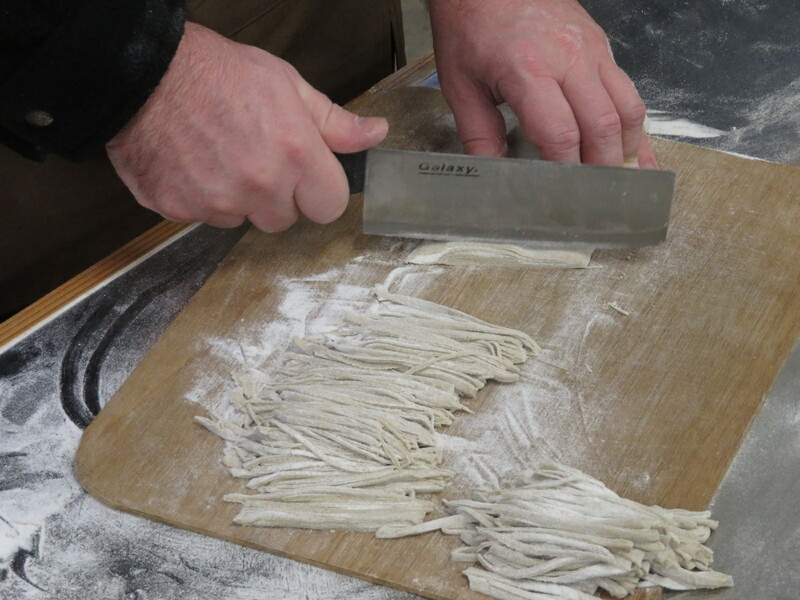 Also further up the valley is the fun and interesting opportunity to have a soba-making lesson. Rice cannot be grown in the steep terrain, but the buckwheat used for making soba can, so soba noodles are an important part of the local diet. 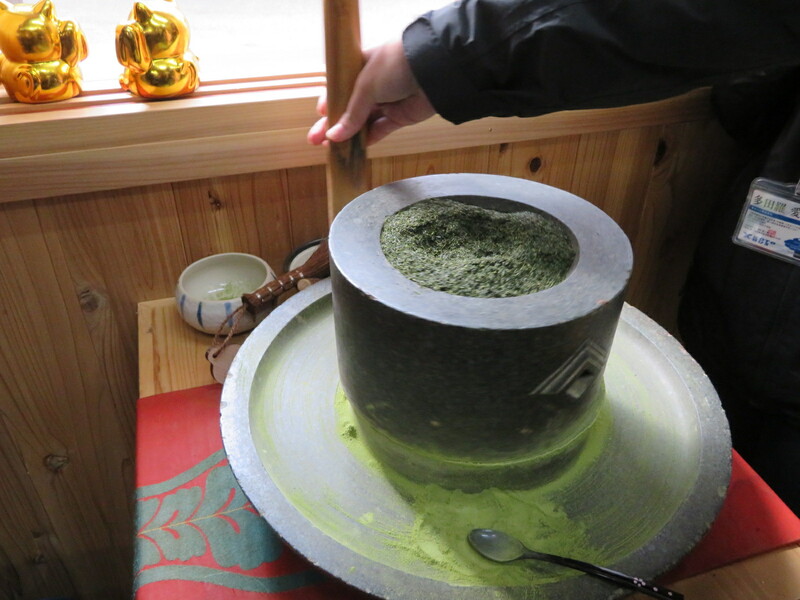 At the Kodai Soba Taiken Academy, visitors can have a sumptuous lunch made with local ingredients and have a workshop session making soba that includes stone grinding the buckwheat, mixing it with water, rolling out the resulting dough, and cutting the dough into noodles which can then be boiled and consumed on the spot or taken home. The entire experience takes about two hours and costs between 1,000 and 3,000 yen per person, depending on the course you choose. 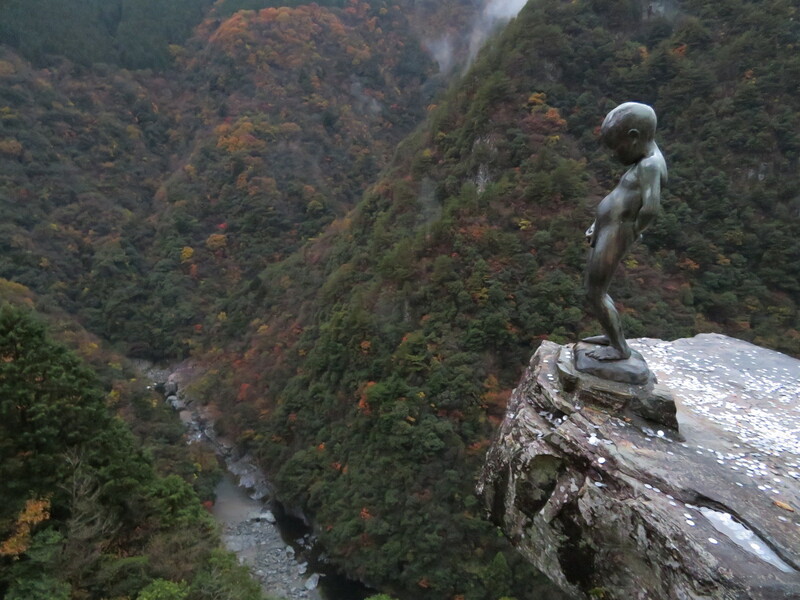 Iya Valley is also famous for its replica statue of the Belgian Manneken Pis, the "peeing boy". The statue is perched on a rock high above the valley floor, a spot once said to have been a favorite for local boys to relieve themselves. Whatever the history, the views of the valley from here are stunning. The next valley over from Iya (now accessible via a long tunnel) is called Oboke, written with kanji characters meaning "big walking danger." The river that cuts through this valley, nearly as steep and narrow as Iya Valley, is the Yoshino, regarded as one of Japan's three great rivers. The valley takes its name from the nearly impassable steepness of the terrain, something perhaps best appreciated from the vantage point of the Oboke Sightseeing Boat Cruise which takes visitors on a 30-minute ride through one of the most scenic parts of the gorge, with its water-carved schist stone walls. High above the river on one side is the rail line, while the other side contains the modern highway, often cantilevered over the gorge. Hours: 9 a.m.to 5 p.m.
Iya is so remote that there is no rail service into the valley; the closest train line stops at Oboke Station. From there, you can take a local taxi. Some Iya ryokan offer shuttle bus services. The little station is adorable, with friendly staff, but take a little time to explore the neighborhood above the station and you will find lots of friendly locals in the local shops and restaurants, too. At Oboke-sho you can get the local specialty of atsu-age -- deep-fried tofu--or the ubiquitous local soba, as well as the experience of "eating" green tea (I won't spoil the surprise by explaining it). Perhaps an easier way to arrange your visit is by using the Kotobus. This is an express bus service from Takamatsu airport, reaching Iya Yumebutai in about three hours. Don't be surprised by the fact that some of your fellow passengers are dummies, life-sized dolls dressed like bus staff or locals, some sitting in bus seats and others in the ersatz Japanese living room at the back of the bus. These dolls honor the nearly deserted village of Nagoro, some 20 kilometers east of Iya, a victim of urbanization and declining population where one local lady decided to replace the departed villagers with effigies (but that's another story entirely). The Kotobus also stops near the Oboke Sightseeing Boat site, making it fairly easy to explore both valleys. One-way fare is 2,500 yen, but various package tickets are also available. Check their flier for more information. They even offer a one day round trip ticket. But with so much to do in the area, you definitely want to stay longer than just one day. Vicki Beyer, a regular Japan Today contributor, is a freelance travel writer who also blogs about experiencing Japan. Follow her blog at jigsaw-japan.com. Aly, Shikoku is awesome. I've gone rafting down that river and crossed the vine bridge a few times, including once in January carrying an infant on my shoulder--it was icy too. Kochi and the Shimantogawa area are also terrific. The island is a great escape from the big smoke and the hordes of tourists along the Golden Route. Well, that makes me envious. Only seen the north-western corner of Shikoku, plus a train trip across the north of it, but it left me wanting to see more. Plus reading books and articles about the 88-temple pilgrimage - I'd do that, if I ever get fit enough. But surely I'm not the only one who sees the Mannekin Pis up there as a pretty serious piece of environmental vandalism? I just visited here a couple weeks ago. The autumn colors were fantastic! There are lots of mountains to climb which seem virtually empty compared to anything near Tokyo, and we also stayed overnight in a free mountain hut (though it was a little cold at night up on the summit in November). It was also really helpful to have a car, as I found from others that using public transportation was a bit tricky (I picked up two sets of hitchhikers while there). Certainly good advice by the writer to give the area more than just a day. I've gone rafting down that river and crossed the vine bridge a few times, including once in January carrying an infant on my shoulder--it was icy too. A remarkably well-done article for JT. Kudos to the writer, this is first-rate copy, plus she did her own photography - always a tell. JT would do well to run more articles of this type that pique interest in areas outside Tokyo and Osaka (a/k/a Japan. Those places (esp the famous waterfall) have the scenes in 1985 movie Seburi Monogatari, really different Japanese people. Chiiori is a wonderful place to stay for the night, or at least it used to be. I fear it may also be part of 'Lost Japan' in a different way. Guests did their own cooking & cleaning, and helped in the garden. When I booked a bed for the night they asked me to bring some eggs & milk too. This is a really helpful article. 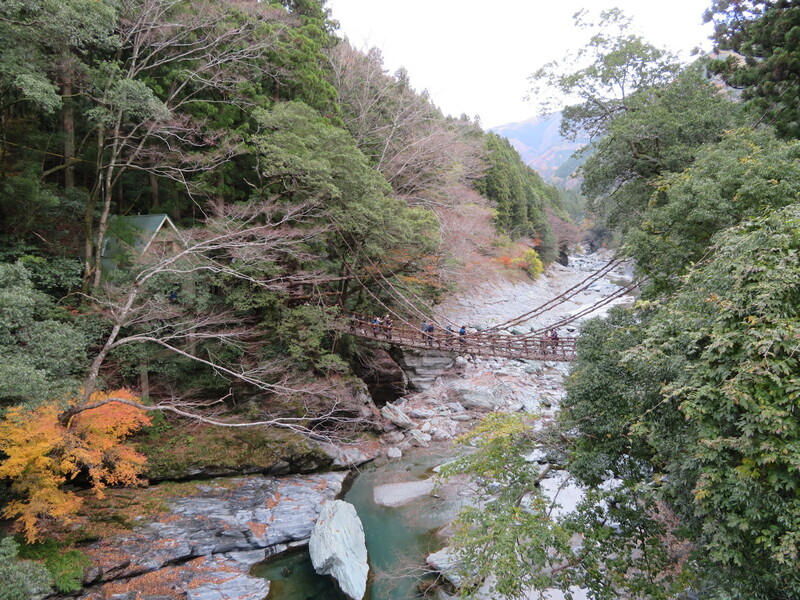 I'm planning to visit the Iya Valley and Shikoku this spring and I'm really looking forward to it.